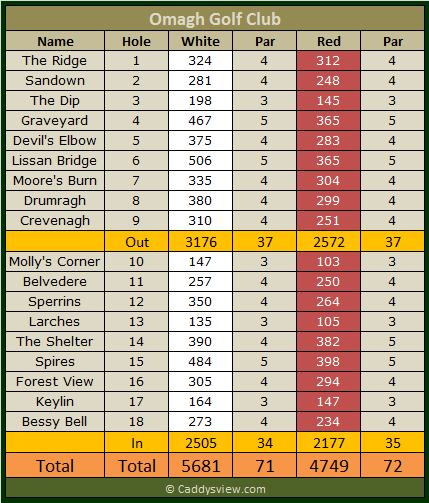 Omagh Golf Club is an 18-hole Parkland founded in 1910, the course was redesigned by Don Patterson in 1983. Don who was Ronan Rafferty’s mentor when Ronan set all the standards both at amateur and professional levels back then. Omagh is located on the River Drumragh and is transverse by the Main Dublin Road. The course has many challenging and memorable holes, but none more so than the 380 mts 8th that has put manors on the best of golfers. 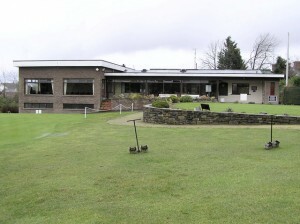 Omagh Golf Club in my experiences is one of the friendliest clubs in the country. The clubhouse is charming and the members are knowledgeable about their golf. A warm welcome awaits one and all at Omagh Golf Club.